These custom curbs are perfectly suited for any large air handling unit. 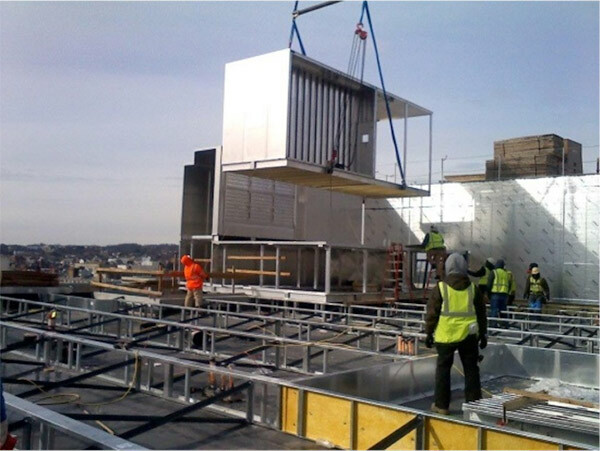 Heavy gauge galvanized steel construction, fully reinforced internal wall support and load bearing support members to accommodate units that are shipped in multiple sections. These “penthouse” curbs routinely support loads exceeding 100,000 pounds, encompass an area of 2,400 square feet or more, and are built to your project’s exact specifications. These curbs are built to last even forthe most advanced applications.